When it comes to out-of-hospital cardiac arrests such as this one, among the most serious calls the 911 emergency system handles, Rhode Island seems set up to fail, experts in emergency medical dispatch say. This year, The Public’s Radio, in collaboration with ProPublica’s Local Reporting Network, is examining the causes and consequences of this failure. Rhode Island is distinct from other states, including its neighbors, in several important ways, including the training 911 call takers receive, the instructions they give callers and the involvement of doctors in supervising the system. In every other New England state, as well as in Pennsylvania and New Jersey, 911 calls for cardiac arrests and other medical emergencies are handled by certified emergency medical dispatchers, or EMDs. Their training includes following carefully scripted instructions — which one medical dispatch expert likened to a pilot’s preflight checklist — to talk a caller or bystander through performing CPR over the phone. Knowing how to perform CPR in person, however, is very different from instructing someone to do it by phone, akin to the difference between knowing how to tie your shoes and trying to explain it by phone to someone who has never done it before, experts say. As a result, some EMS officials and emergency doctors in Rhode Island say, CPR instructions often are not provided by 911 operators in situations in which patients are clearly experiencing a cardiac arrest and might benefit from them. Last year, EMS agencies in Rhode Island responded to nearly 1,200 people experiencing an out-of-hospital cardiac arrest, according to the state Department of Health. That constitutes a small fraction of the emergency calls received by the 911 center. Currently, about one in 10 people who experience an out-of-hospital cardiac arrest in Rhode Island survive. But that rate could double or triple, or possibly go even higher, experts say, if people received CPR in the first few minutes after a cardiac arrest. That amounts to potentially hundreds of unnecessary deaths each year. For the roughly half of Americans who don’t know CPR, and others who are reluctant to perform it, the guidance they receive from a 911 operator can be crucial. 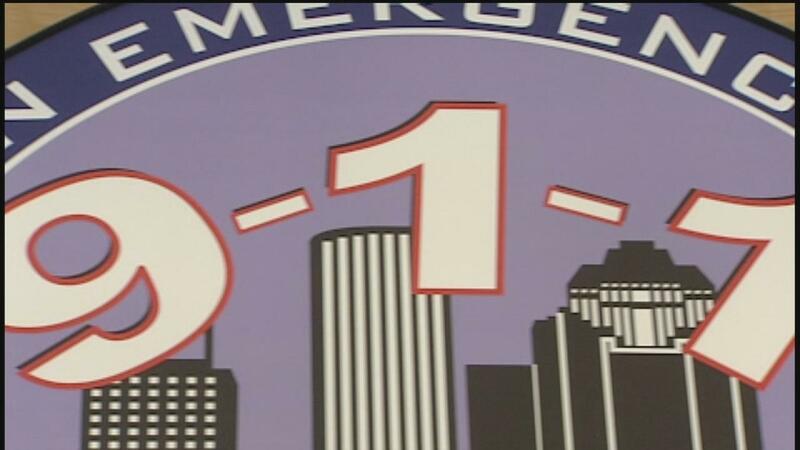 A bill introduced in the General Assembly this year on behalf of the Rhode Island Chapter of the American College of Emergency Physicians would mandate that 911 call takers provide pre-arrival instructions for medical emergencies. The bill is scheduled for a hearing in the House Committee on Health, Education and Welfare on Wednesday. One of the bill’s chief supporters is Dr. Joseph R. Lauro, an emergency physician affiliated with Brown University and a member of the emergency physicians group. Lauro says he has reviewed five calls to 911 within the past year in which Rhode Island patients died following an out-of-hospital cardiac arrest. And in none of those cases, he said, did the 911 call takers provide any CPR instructions. Rhode Island public safety officials have defended the way their system is set up, pointing out that call takers are certified in CPR and basic first aid. In response to questions from The Public’s Radio about this certification and training, however, the state discovered last week that Gregory M. Scungio, who was the 911 center’s acting director, had been training staff with an expired certification. He was removed from his job. Scungio did not respond to an email seeking comment about his ouster. Barbara signed a privacy waiver authorizing the state police to discuss the call about her grandson with a reporter from The Public’s Radio, but officials declined to do so, either with Barbara present or in response to written questions. State police also declined to answer questions about the call taker, who was not identified in the recording. She said officials are prohibited by law from discussing “the specifics of this or any call to 911 with anyone other than the party who placed the call,” unless they are ordered by a court to do so. Unlike in many states, 911 calls in Rhode Island are deemed confidential and are not considered public records. Scungio did offer to meet with Barbara last week to discuss the handling of the call. But in the midst of their correspondence, he was removed from his job. Doctors who reviewed the 911 call, Alijah’s autopsy report and a patient care report prepared by the Warwick Fire Department said it’s impossible to know whether Alijah would have survived with earlier intervention. One pediatric emergency expert in Florida said he thinks Alijah was too far gone given that his eyes were fixed and dilated by the time paramedics arrived. Clawson said he’s seen other cases in which CPR made a difference. On the morning of Feb. 23, 2018, Barbara, 57, was lying on her bed watching “Law & Order” on TV in the house she and her husband shared with Jessica, Conner and his two young children. Downstairs, baby Alijah was in a bassinet and his 1 ½-year-old brother was in a crib. About 20 minutes later, Barbara heard Conner cry out “Auntie!” He ran to her, arms outstretched, and handed her Alijah. “Call 911!” Barbara shouted to Jessica, 33. Barbara carried the baby into the living room and laid him, face up, on the floor. Then she began pressing two fingers into her grandson’s little chest, the way she’d seen “baby CPR” done on TV. What followed was a confusing back-and-forth between the 911 call taker and Jessica, who was trying to relay instructions to Barbara. 911: Is he on his back? Make sure he’s on — not on his back. Jessica: Make sure he’s on his back! 911: NOT on his back! Barbara can be heard in the background shouting: He’s turning purple! Jessica: He’s on his back but he’s turning purple. 911: NOT, NOT on his back. Jessica: Oh, NOT on his back. NOT on his back. NOT on his back. Barbara: Help! What do I do? About 30 seconds into the call, the woman at the 911 center phones the Warwick Fire Department. Jessica: He’s still not responding. Barbara, in the background: He’s turning purple! Jessica: He’s still turning purple. What do we do? Warwick dispatcher: What’s the address? Jessica and the 911 call taker simultaneously give the address, rendering the information incomprehensible. The dispatcher asks for it again. Dispatcher: OK, we’ll have someone over. It’s a baby? 911: Baby unresponsive, turning blue. In cases of cardiac arrest, every minute without CPR decreases the chances of survival by up to 10 percent. Jessica: Do we give him mouth-to-mouth? What do we do? 911: Listen. Listen. Listen. I need everybody to calm down a second. In the background, Barbara calls out: He’s not breathing! After asking the baby’s age, the 911 call taker instructs Jessica in how to position the baby face down, over one hand, as one would do to deliver back blows to a baby who is actively choking. 911: OK, he’s not — he’s not breathing. Are you sure he’s not breathing? 911: Cuz you can’t do CPR if he’s breathing at all. Jessica: They said he’s breathing a little bit but he’s still unresponsive. The 911 call taker instructs them to hold the baby face down, “so that he’s not vomiting.” The rescue, she said, is on its way. The 911 call taker starts asking questions: What happened before all this happened? … He’s 5 months old? … He didn’t have anything that he put in his mouth or anything? … Was he in his crib and he vomited? Barbara again shouts: He’s NOT breathing! 911: OK, is he breathing or is he not? Barbara, in the background, shouts: No, he’s NOT! But the 911 call taker asks Jessica to take a look to be sure if the baby is breathing, saying: I can give you CPR, but I can’t do it if he’s breathing. Jessica: She said he’s not. His fingertips look blue. After the eighth time that Barbara or Jessica says the baby is not breathing, the 911 call taker says: OK. All right, so who’s gonna give CPR? By then, Barbara hears the ambulance coming. The phone line goes dead with the 911 call taker still asking questions. The call went awry right from the start, say three national experts in emergency medical dispatch who reviewed the audio at the request of The Public’s Radio. The 911 call taker appeared to be focused on Jessica’s statement that the baby had vomit around his mouth and nose, but experts say the critical question the call taker should have asked was: Is the baby breathing? Or is the baby breathing normally? If not, the correct next step was to begin CPR. “Whenever there is a doubt, we tell them to start CPR,” said Dr. Peter Antevy, a pediatric emergency medicine physician and emergency medical services director for several agencies in South Florida. The caller repeatedly told 911 that the baby was turning purple. “Turning purple means he wasn’t breathing adequately” and needed immediate CPR, Antevy said. “Once you find out that the child is unconscious and not breathing normally, then you go into the cardiac arrest algorithm,” which, for a baby, is mouth-to-mouth followed by chest compressions. Gasping sounds in a cardiac arrest patient may be “agonal” breathing, as air escapes the chest, said Brian Dale, who worked for 38 years as a paramedic before joining Clawson at the International Academies of Emergency Dispatch in Salt Lake City. The 911 call taker wasted critical minutes, Dale said, asking unnecessary questions. Clawson said trained call takers and proper instructions can make a big difference. He shared a recording of a 911 call from parents in Sunnyvale, California, after their baby stopped breathing while he was sleeping. The call taker asked: “Is he conscious?” (“No.”) “Is he breathing?” (“No.”) “Did you see what happened?” (“No.”) “Did he choke on anything first?” (“No, he was just sleeping with me.”) The call taker then said she was sending the paramedics and — a minute and 15 seconds into the call — began calmly instructing them to perform mouth-to-mouth breathing and chest compressions. In less than five minutes, the baby was breathing again. During an interview last year, Scungio, the Rhode Island 911 center’s former acting director, said the way in which his agency handled medical emergencies was appropriate. Scungio said call takers have “skill sheets” from the Red Cross courses he taught. “We give pre-arrival medical instruction, and it has worked very well for us over the years,” Scungio said. The failure to deliver adequate pre-arrival medical instructions from the state 911 center makes Jason Umbenhauer angry. The deputy chief of emergency medical services at the Warwick Fire Department, Umbenhauer reviews every emergency call for cardiac arrest that comes into his station — more than 80 in 2018. And only about a quarter of those patients had CPR before EMS workers arrived on the scene. That compares with about 40 percent to 75 percent who receive CPR before EMS arrives in states and communities that have programs to improve care for out-of-hospital cardiac arrests. Umbenhauer said he has been raising concerns about the lack of pre-arrival instructions by 911 call takers since he moved to Rhode Island 22 years ago. Last spring, emergency room doctors throughout the state began sounding the alarm about how calls were being handled at the 911 center. The Rhode Island chapter of the American College of Emergency Physicians said in position statement released in March 2018 that people in the state were dying unnecessarily because patients in cardiac arrest weren’t receiving CPR before rescue medical personnel arrived. The group urged lawmakers, among other things, to “take immediate action” to establish a system of emergency medical dispatch comparable to what is in place throughout New England. Last spring, ACEP’s Rhode Island chapter president, Dr. Catherine Cummings, provided a detailed proposal for developing a state 911 emergency medical dispatch system to Rhode Island House Majority Leader K. Joseph Shekarchi, a Democrat from Warwick. But the legislative session ended in June 2018 with no bill. Then, one evening this year, Lauro, the emergency physician, was having dinner with Umbenhauer and other colleagues at the Old Canteen, an Italian restaurant on Atwells Avenue in Providence. At a nearby table, someone spotted two state lawmakers, Rep. Mia A. Ackerman, D-Cumberland, and Shekarchi. Over risotto, Lauro said, he and his colleague began talking to the lawmakers about their concerns. “To me, it’s really a no-brainer,” she said. The bill would require the 911 center to be staffed at all times by “at least one” call taker who is trained in telephone CPR by July 1, 2020. The state Department of Public Safety, which runs the call center, declined to comment on the bill, saying it’s under review. Lauro says the bill is a “small step” toward improving out-of-hospital emergency care. But Clawson, the medical director in Salt Lake City, says that approach of having one call taker trained in telephone CPR, what he dubbed a “designated hitter,” isn’t done in any system he’s heard about. And he said it’s not advisable in a medical emergency. Rhode Island’s medical experts, Antevy said, should get together with fire chiefs and other first responders to track how long it takes for cardiac arrest calls that come into the 911 center to be recognized as cardiac arrests, and then how long from there until the patient is given chest compressions. “And that’s just the low-hanging fruit right there,” Antevy said. It took just three minutes for the Warwick Fire Department to arrive at Barbara’s house. She was waiting at her front door, Alijah in her arms. An emergency medical technician trained in advanced life support whisked the baby into the ambulance and, within a minute, began CPR. The baby had no pulse and was not breathing, according to the patient care report prepared by the Fire Department, which the family requested and shared with The Public’s Radio. Four minutes after arriving at the house, the report shows, the ambulance sped off to the hospital — contrary to state emergency medical services protocols for cardiac arrests, which since 2017 have required first responders to remain at the scene for at least 30 minutes while performing CPR. The protocols are based on research showing the quality of compressions deteriorates when performed in a moving vehicle. Umbenhauer declined to comment on the response. En route to the hospital, the EMT continued to perform CPR, using a mask to squeeze oxygen into the baby’s lungs, as well as chest compressions. Not far behind, Barbara drove with her son, Conner, to Hasbro Children’s Hospital. At 10:39 a.m., about 20 minutes after arriving at the hospital, Alijah was pronounced dead. Everyone had questions. The police. The state child welfare agency. The neighbors who saw the police cars parked in front of their house. Police searched the bedroom where Alijah slept, removing bedding from his bassinet and carting away garbage as evidence. Alijah’s 1 ½-year-old brother woke up from his nap to a house full of strangers clomping around in heavy boots, radios buzzing on their belts. The child stayed glued to his aunt Jessica’s lap. Police said Alijah’s brother had to be removed from the house while they investigated. Barbara sent the boy to stay with his mother’s family. It’s a “rare instance” for the state to remove children from a home while investigating a child’s death, Kerri White, a spokeswoman for the state Department of Children, Youth and Families, said in an email. She declined to comment on why it was done in this case, citing confidentiality, but she added that the agency cooperates with law enforcement. Now, more than a year after Alijah’s death, Barbara and Jessica are the ones left with unanswered questions. Throughout the investigation of Alijah’s death, Jessica said, nobody asked them about the emergency response to their 911 call or told them it had been mishandled.